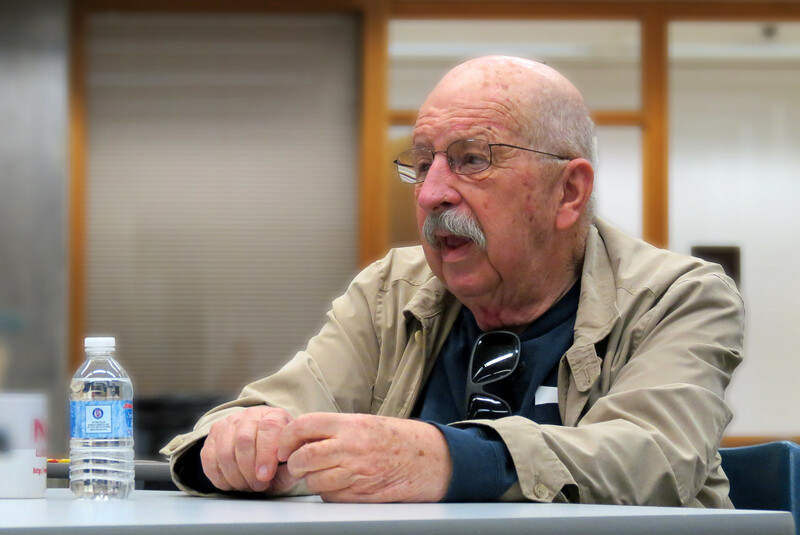 Tor is report­ing the sad news that Gene Wolfe has died. The sci­ence fic­tion and fan­ta­sy com­mu­ni­ty has lost a beloved icon. We are extreme­ly sad to report that author and SFWA Grand Mas­ter Gene Wolfe passed away on April 14th at age 87. I came to Mr. Wolfe’s writ­ing late in life. My dad had a copy of Urth of the New Sun but, as a teenag­er, I could nev­er get into it (not real­iz­ing, then, that it was essen­tial­ly book 5 of a 4-vol­ume series). I decid­ed he was too high­brow, too high­fa­lutin for my tastes. Over the years, though, writ­ers I very much enjoyed, writ­ers whose opin­ions I respect­ed, con­tin­ued to tout the virtues of Wolfe. Neil Gaiman wrote on how to read Wolfe. Michael Swan­wick was effu­sive with his praise. Wolfe, they insist­ed, is the writer’s writer. So I checked the Wiz­ard Knight duol­o­gy out of my local library, and I found myself hooked. I chanced upon a copy of The Fifth Head of Cer­berus at a local used book­store, and was entranced. Lat­er, I read The Book of the New Sun and its coda, Urth of the New Sun. This past sum­mer I read, and loved, Pirate Free­dom. Gene Wolfe’s prose deserves to be read, and more, it begs to be re-read. Time, I think, for a re-read. It is always a temp­ta­tion to say that such feel­ings are inde­scrib­able, though they sel­dom are. Pho­to cour­tesy of Mark’s Post­cards from Beloit, via a Cre­ative Com­mons Attri­bu­tion-Non­Com­mer­cial-NoDerivs license.